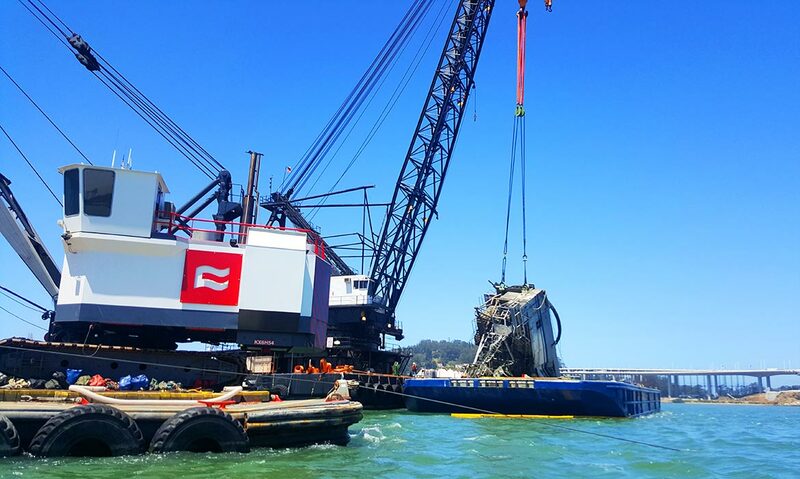 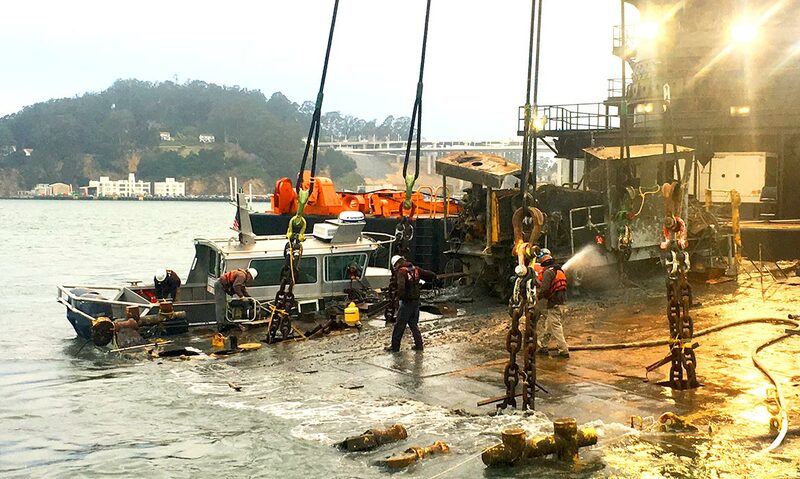 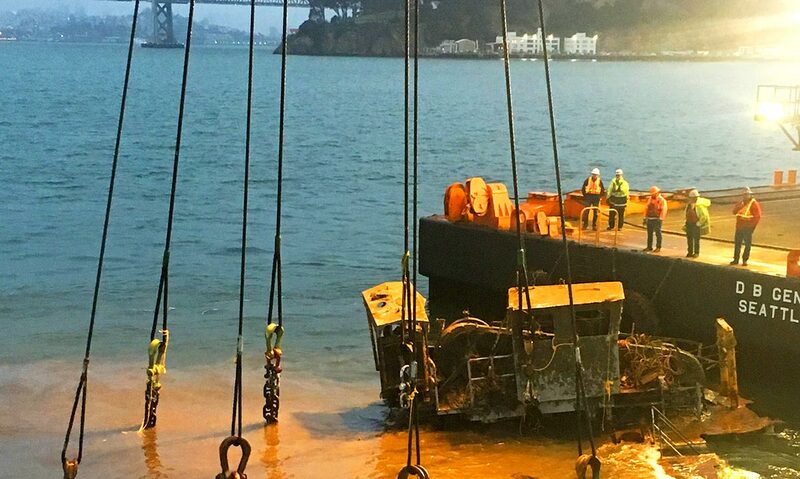 We provided marine salvage, wreck removal and emergency response services for The DB Vengeance which was a 110’ crane barge that capsized and sunk in bad weather in the San Francisco Bay. 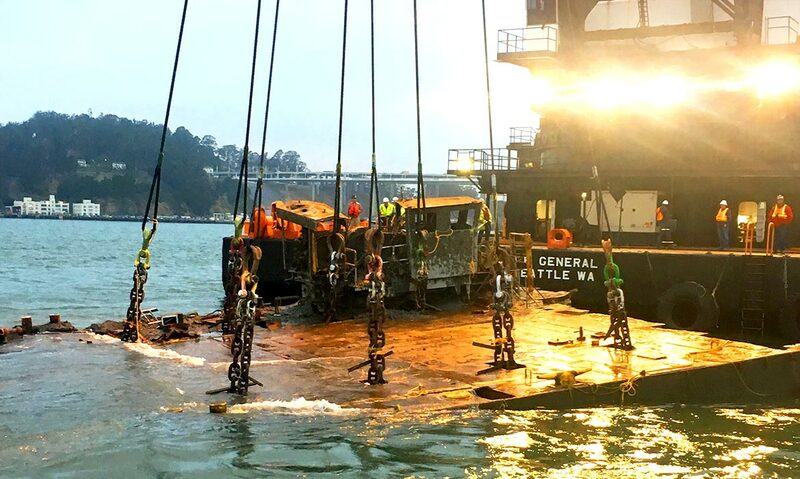 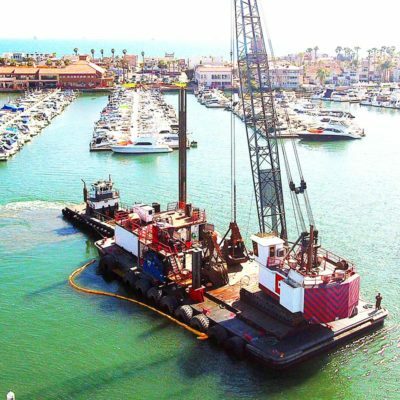 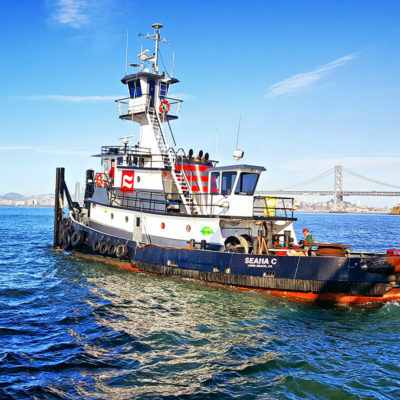 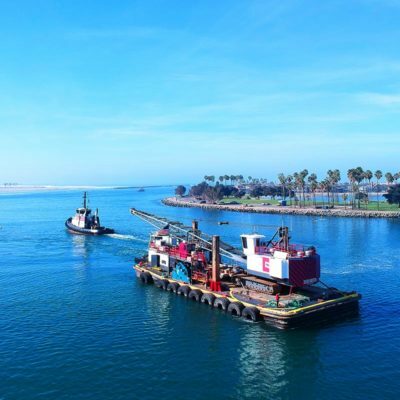 We provided marine salvage, wreck removal, and emergency response services for The DB Vengeance which was a 110’ crane barge that capsized and sunk in bad weather in the San Francisco Bay. 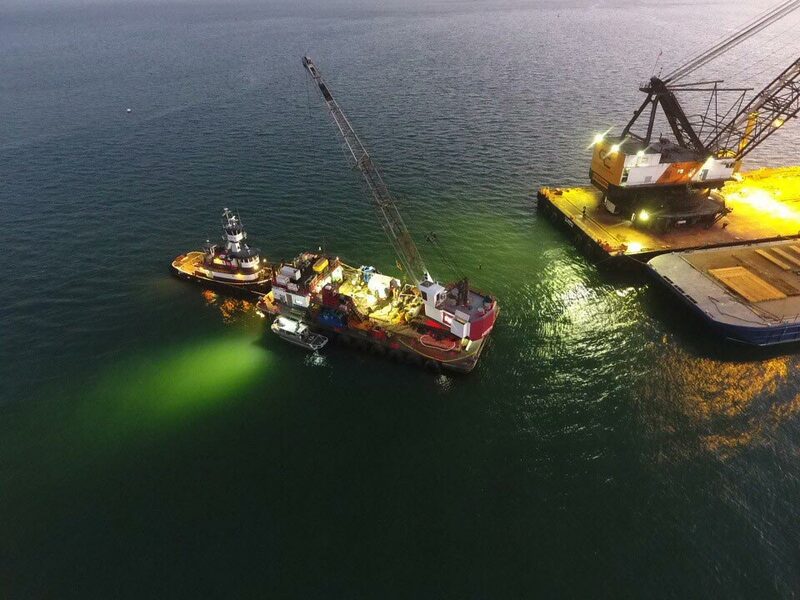 Curtin provided our deck barge 214 to mount the winch systems for the parbuckling activities, and the DB Ben Weston and tug Seana C to assist in the recovery off the sea floor. 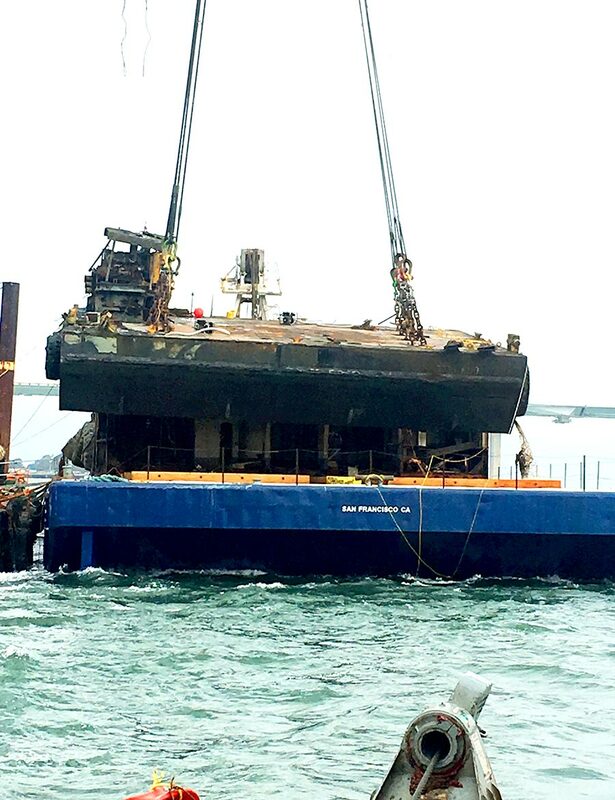 The barge was cut into sections for recovery and was ultimately destined for the scrap heap. 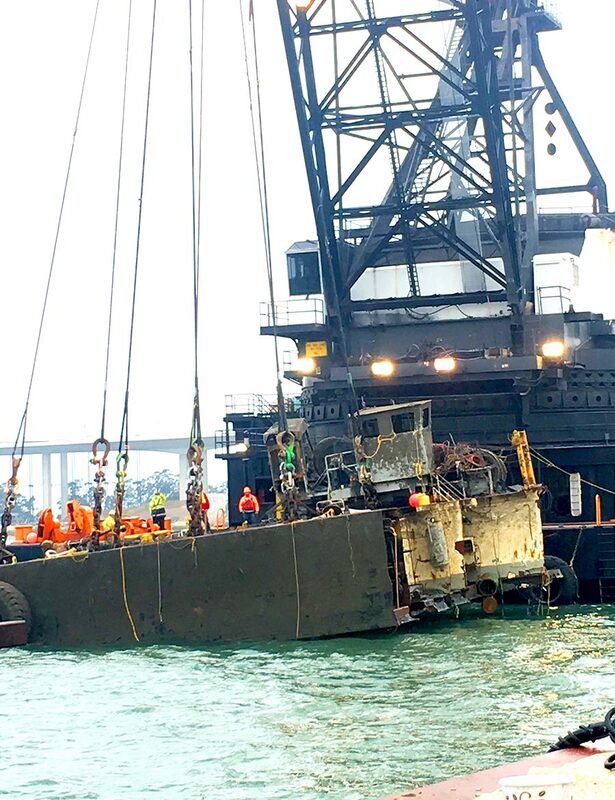 The Curtin/Global partnership again completed another successful marine salvage operation.